a hungry man travels: Wait, how many days until Christmas again? Wait, how many days until Christmas again? You know it's coming...what am I saying, it's already here! The Christmas craziness. I was talking to a friend of mine yesterday about the holidays which partially inspired me to write this post, and how despite the endless yuletide scenes on the streets, or in the malls, or downtown stores, it's just one giant mushfest of happy yuletide festivities! We all know it can be, and is, a VERY stressful time of the year. 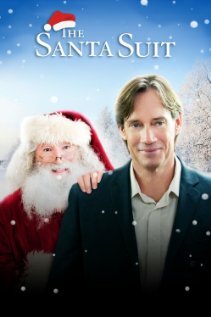 Oh, we so want it to be just like those damn holiday movies they endlessly play on TV (which my Mother loves, and bonus celebrity plug, one of my good friends has a starring role (Paul Haywood) in one called The Santa Suit, so I can't knock them too much). Despite the rant above, I will say that this is the first time in years where I'm actually looking forward to just staying home and spending Christmas with my family. What has changed? Family dynamics and personal attitude. I've recently come to the conclusion that it's really not THAT bad, but it's taken me a while to reach that point again let me tell ya! Yes, it can be annoying hearing Celine Dion's version of white Christmas everywhere you go, but no more grosser than Michael Buble (side bar - Michael, please NEVER do a Christmas album again, do you hear me? NEVER!). This year I'm approaching the holidays with a fresh attitude: embrace and enjoy, rather than run away and escape as I used to do (despite having one of the best "escape" Christmases I ever had as a single man, and that was when I went to Rome last year! Reference? Here). So a question remains: are there any upcoming travel plans for the hungry man during or even after the 2012 Christmas season? Nah, (he says now) but that could change! I thought of trekking over to Ireland, maybe even a quick trip to the UK to see some friends, or for something completely different, South America, but I think I'll hold off on any travel plans until after I graduate from the public relations program at Ryerson - a graduation present. Ah, who knows what will happen. In the meantime, happy two year anniversary Hungry Man Travels blog, and a happy and safe holiday to all! !